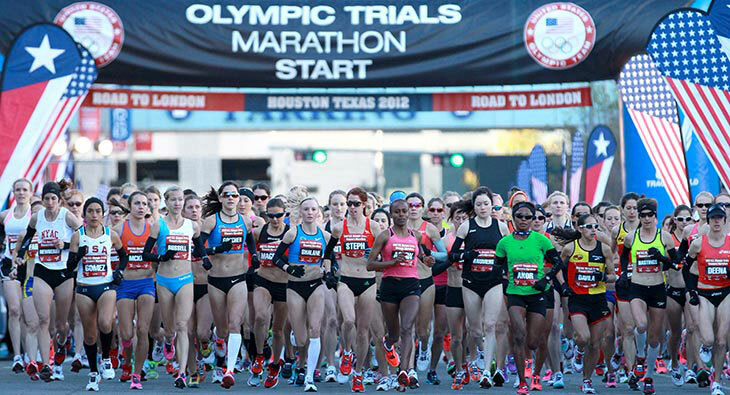 Home Racing Team News Holdmeyer 2016 USA Marathon Olympic Trials Preview! We are only a few days out from what is going to be a very exciting race to watch with the men’s & women’s Olympic Trials for the Marathon. The Trials are going to provide the field with a few curveballs this year with temperature and the course. The race is starting at 10:00am PST time which will put the runners on the course with the temperatures in roughly the mid-70s. The temperature along with the course and the number of turns racers will have to navigate should slow the pace and increase the potential for the unexpected to happen. We will start our preview with the Men’s race where it looks like there are a few clear favorites followed by a large group dark horses. 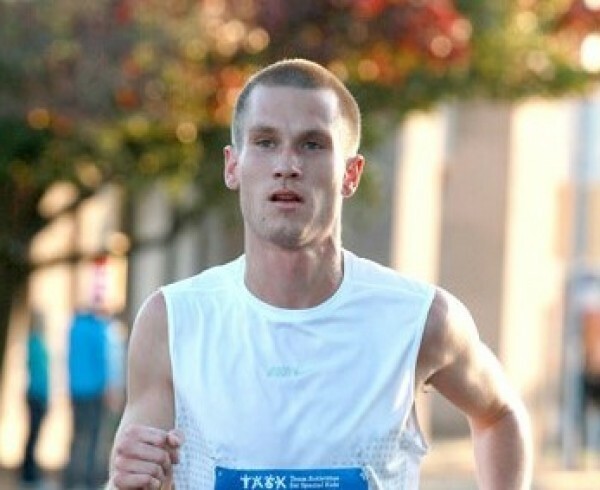 Rupp is probably running one of the most anticipated marathon debuts for an American since Ryan Hall and the expectations for Rupp may even be higher. Galen’s history on the track and his 61:20 solo half-marathon to qualify in December make him an automatic contender for a top 3 finish and a spot on the Olympic team. Many people consider him a lock for the Olympics, but he will still have to compete in tough conditions in his debut at the distance. The transition to the marathon is not always easy for runners coming over from the track and other Salazar athletes have struggled in their marathon debuts in the past. Regardless of never running a marathon, it would be hard to believe Salazar or Rupp would consider the Trials unless they both thought Galen was in a position to qualify and attempt the Marathon/10,000m double at the Olympics. Coming from a graduating class that included Ryan Hall, Matt Tegenkamp and Alan Webb, it almost seems as if Ritz’s career should have fizzled since the last Olympics from the pounding that his body has endured over years of grueling training. However, Ritz comes into this year’s Trials after moving back to Michigan and away from the Nike Oregon Project. 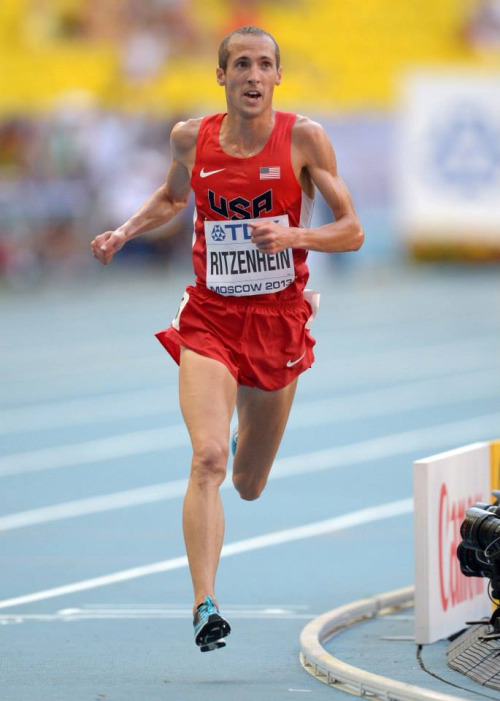 Ritz has had an injury plagued career, but has also been one of the USA’s strongest distance runners when healthy. In the Los Angeles heat, Dathan will have to overcome an issue with cramping that has haunted him in previous marathons. If there are five or more runners in contention with less than 5 miles to go, this will be something to watch for with Dathan. The fact that Meb is going to be 40 years old and is considered one of the 3 strong favorites at the Olympic Trials is a testament to the talent and work ethic of the already 4-time Olympian. 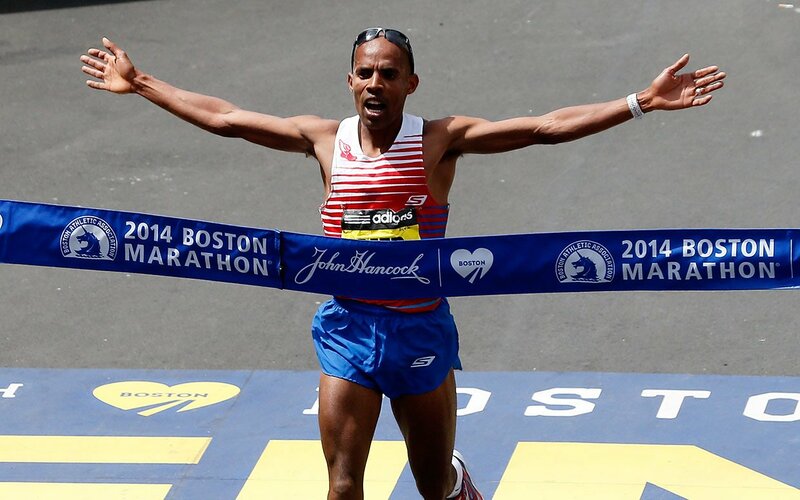 Meb has the strongest marathon resume in the field with a Silver Medal in 2004 and a 4th place finish in 2012, that was followed by winning the Boston Marathon in 2014. Even without the fastest PR in the field, Meb’s experience and track record make him a strong pick to not just qualify, but to win the race. The question this weekend will be whether Meb has been able to stay healthy to put in the necessary training for the marathon. He has a history of being able to perform in adverse conditions for a marathon, so will that experience help him compete against some of the up and coming marathoners nearly half of his age? 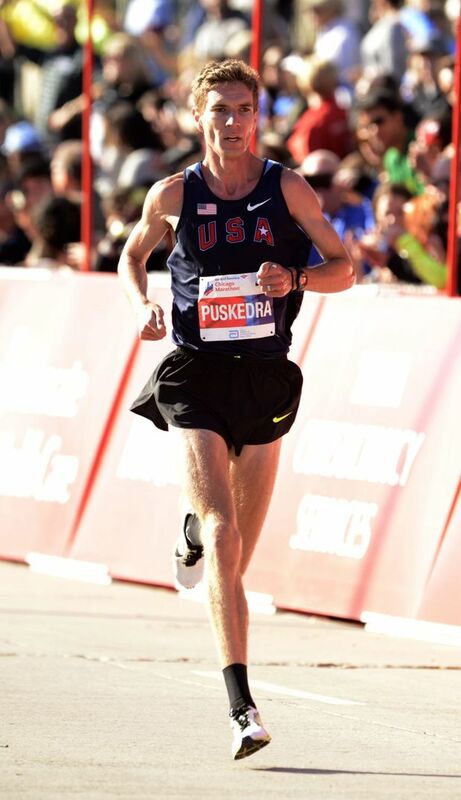 Luke Puskedra jumped onto the scene as a contender for a spot on the Olympic team in dramatic fashion at the 2015 Chicago Marathon finishing 5th. Puskedra was a very talented high school runner who went on to compete for the University of Oregon where his best finish was 4th in the 10,000m. 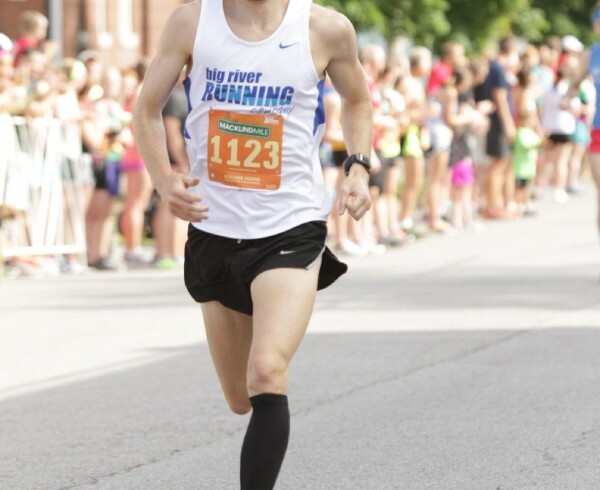 He showed some promise early on after graduating running a 61:36 half marathon, but he quickly fell off of everyone’s radar until his comeback performance this past fall. 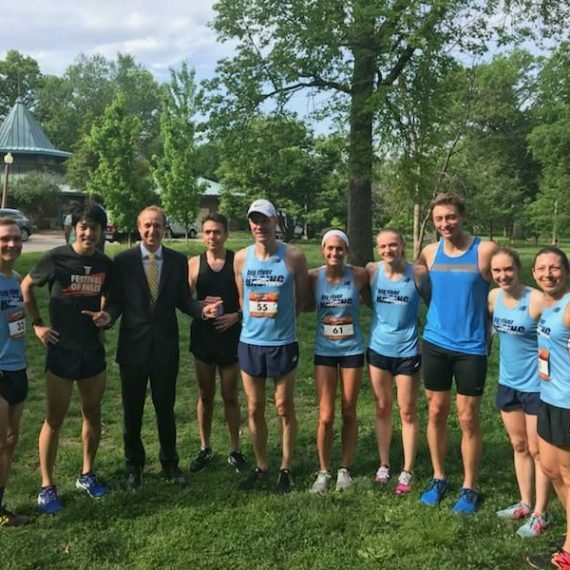 Since Chicago moved away from using pacers, the pack stayed much closer together than it would have in previous years; however, Luke showed great poise by staying in contact and running with the front group until very late in the race. Until Rupp announced he would be running the marathon, Puskedra was considered one of the top 3 favorites to make the team and is still in the conversation since anything can happen in the marathon. One thing to watch out for is how the heat will affect Luke late in the race. In my mind, he is one of the front runners with the greatest potential to have the heat catch up to him and struggle over the last few miles. James Ward: He sports a modest 2:12:56 PR against some of the favorites, but that was run in very similar conditions in LA last year. He has continued to get stronger over the past couple of years and has that marathon experience that can be a great asset in a warm championship race. Diego Estrada: One of the many runners who qualified for the Trials through the half-marathon and will be making their marathon debut. His 60:51 half-marathon PR is very impressive and considered one of the strongest in the field, but without the raw talent of some of the favorites or experience of the others puts him at long odds to make the team. Sam Chelanga: Sam is a very recognizable name on the USA running scene after his great college career at Liberty and his great battles with Galen Rupp on the track and xc. He now is an American citizen and will be competing in his first trials, but this will also be his first marathon. It is hard to predict someone’s capability at the marathon, but with Chelanga’s raw talent and having James Li coaching him, he is someone to definitely keep an eye on Saturday. Matt Llano: Trained by Ben Rosario, Matt ran an impressive 2:12:28 at Berlin in 2015. That time is one of the fastest marathon times entered into the Trials this year, but with less than ideal conditions expected at LA and a strong second group looking for that third spot he might be a top 5-10 contender but will have to have a few things fall his way to sneak into the top 3 Saturday. Brian’s Prediction: The weather takes its toll on Puskedra and Ritz in the late miles with Ritz holding on for 3rd but Puskedra falling off. 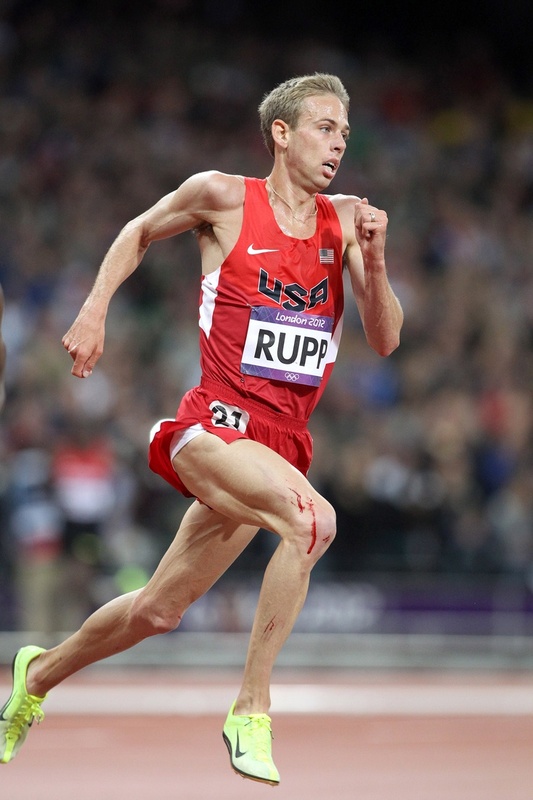 Rupp does enough to win moving away from Meb in the 1-2 miles. The women’s race has the potential for a much tighter race for the coveted 3rd qualifying spot to make the Olympic team. 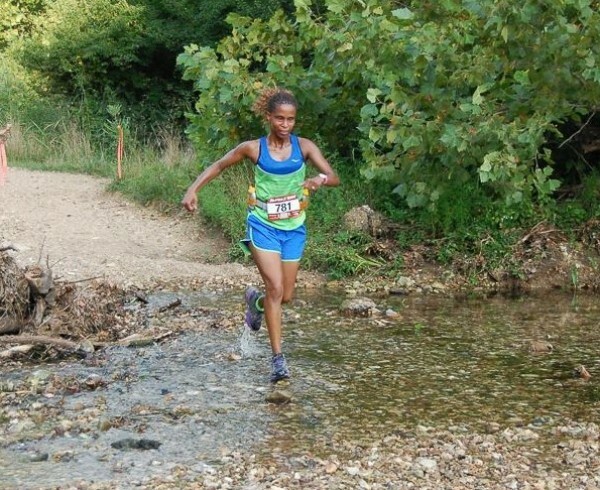 Shalane is the most decorated runner in the field both on the track and on the roads. As the defending Olympic Trials champion from 2012 and the 2nd fastest marathon ever by an American, it is difficult to see Shalane not finishing in the top 3 and securing her spot to Rio. It has recently come to light that she has not had the ideal marathon build up having to deal with some injuries, but even with those setbacks she was able to run a comfortable 72:42 at the Rock ‘n Roll San Antonio Half-Marathon with training partner Amy Cragg. She has said in interviews that the goal is to be in the top 3 and qualify, but don’t be surprised to see her running for the win, late in the race. 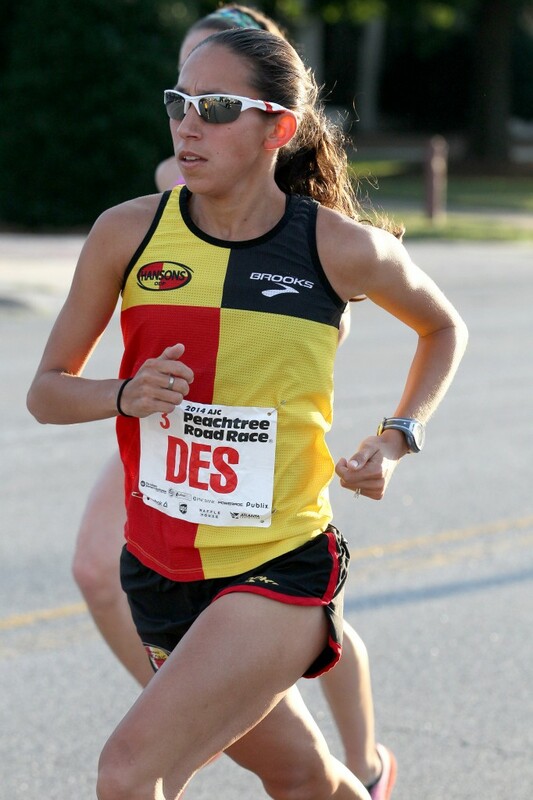 Desi is one of the most consistent marathon runners in the USA and running with the Hanson-Brooks Distance Project, she is also one of the most experienced marathon runners in the USA. Desi has the second fastest time in the field behind Shalane and although she does not race very often she has proven to be ready for some of her biggest races. With the experience of finishing in the Top 5 in New York, Boston, Chicago, and Berlin and having a healthy buildup to the Trials, she may be the favorite for the win. The matchup between Shalane & Desi is usually good when both have been healthy. With Shalane a little behind on training, this could be Desi’s chance to earn her first US Title. It has been an adventurous few years for Kara since the 2012 Olympic Trials where she finished 3rd before going on to finish 11th at the Olympics. Kara has since switched coaches, back to her college coach Mark Wetmore in Colorado. After a relatively quiet 2014, Goucher began to make some noise late in 2015 including a 71:10 half-marathon to win the Rock ‘n Roll San Antonio Half in December. Kara is the oldest of the 4 favorites at the Trials, but with her latest results looks to be in strong contention for the 3rd Olympic spot. Kara has performed well in championship races in the past, including a Bronze medal at the 2007 World Championships 10,000m in very warm conditions. 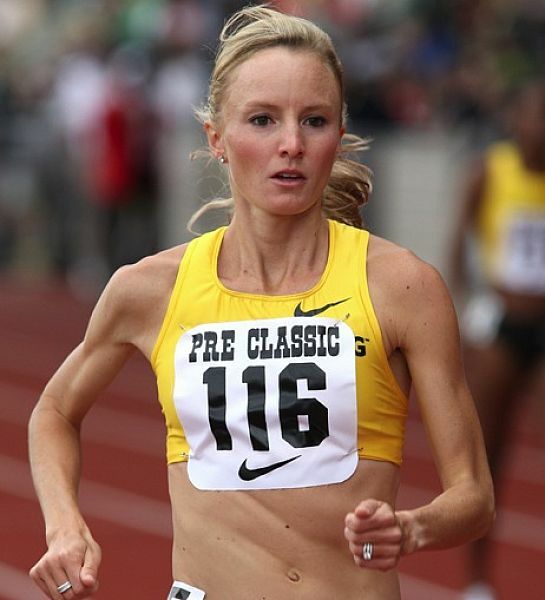 Amy recently changed training groups to be coached by Jerry Schumacher under the Nike/Bowerman Track Club with Shalane Flanagan. If her credentials didn’t put her among the favorites already, training every day with Shalane can only help if you’re trying to qualify for an Olympic team (Emily Infield had a suprice 3rd place finish in the 10,000m USA champs last year after a long training block with Shalane). Cragg ran stride for stride with Shalane at the Rock ‘n Roll San Antonio Half, and if it was simply a workout for both of them, it indicates very good fitness for both. Cragg will be competing with Kara and potentially 1 or 2 others for that final spot on the Olympic team. She built up a strong background prior to moving out to Portland, will the coaching change and training with Shalane be enough to move her up one spot from her 4th place finish in 2012? Very similar to the men’s race there are a few very clear cut favorites, but there are a couple of very good stories left in the women’s field that have an outside chance to make some waves and surprise with a breakout performance. Kellyn Taylor: Training under Ben Rosario with the HOKA NAZ Elite, Kellyn debuted with an impressive 2:28:40 marathon in 2015. She should be in the mix for the top 5 with one of the best shots at the team if one of the top 4 would falter. However, it’s seems that Cragg is in better shape than her 2:27 PR and that leave Kellyn with a lot of ground to make up in her 2nd attempt at the distance. Sara Hall: What a story it would be for Sara to qualify for her first Olympics in the marathon after her husband’s retirement. 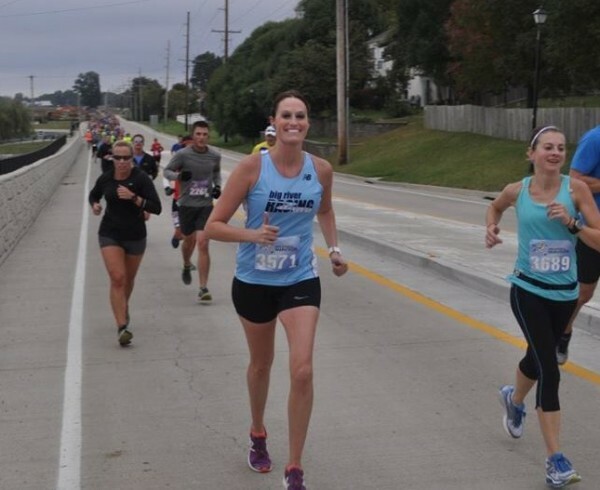 While Ryan found his calling at the marathon and became a household name for many of us, Sara has not seen the same success in her first two attempts at the marathon. She struggled in warm conditions in her debut in LA and her 2:31 PR suggests she needs a lot to go right for her to make the team. Serena Burla: A St. Louis hometown favorite, Serena has a PR of 2:28:01 and is always worth a mention when it comes to USA Women’s marathons. Serena’s 2:31:06 in Bejiing in August of 2015 shows that she was able to get back into good shape last year and should be in the pack containing Taylor, Hall, and others looking to run in the 2:26 – 2:29 range. Brian’s Prediction: Desi sets the pace for most of the race before Shalane decides just being Top 3 won’t cut it and makes a bid for the win. Kara will hold off Cragg late taking the final Olympic spot. What? No love for the hometown hero? Here’s my prediction – On a tight 180 degree turn at mile 18, the leaders, battling for inside position, take each other out. O’Connor, running comfortably in long-sleeves and tights (to mimic his STL training), emerges from the 2nd group, and assumes command of the race. Smoothly weaving through the women’s field, he accelerates, running the last 5K in 12:37.25, not only winning the race, but also trouncing Kenenisa Bekele’s world record 5K from 2004.